1. 27 slide ppt that walks through close reading of poems (listed below). Check out the preview for the style! 2. 9 question multiple choice quiz (that you can edit and pull from to incorporate into any assessment). Answer Key included! I use this unit in my 12th grade British literature class along with an anthology, but all poems are readily available online and appropriate for most secondary English classes. 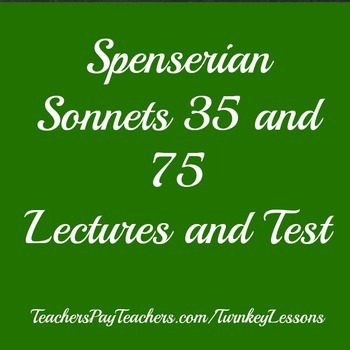 I also sell a whole Renaissance poetry unit with these two poems along with sonnets from Shakespeare and Sidney, plus poems from Marlowe and Raleigh with assessment for $15.